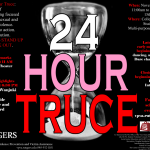 Thank you to everyone who joined us for our 24 Hour Truce in November 2014. 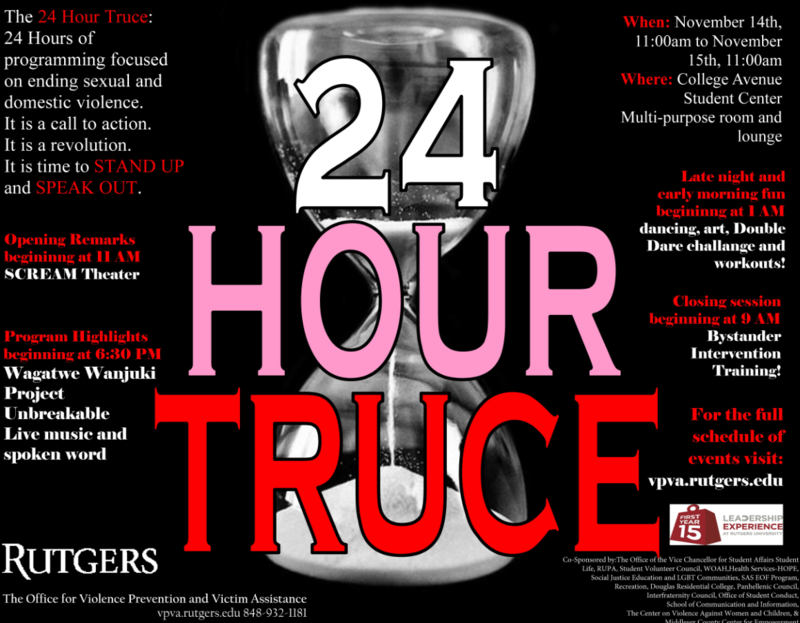 We had 24 hours of programming that enabled us to come together as a community and take a stand against violence. The 24 hours were filled with workshops and activities to educate, support survivors and encourage all members of the community to get involved in ending sexual and domestic violence. The event was being co-sponsored by over 15 campus offices, community partners and student organizations proving that we all need to work together end abuse in our community. We truly appreciate their collaboration! Check back soon for a video about the event! It’s time to STAND UP and SPEAK OUT.